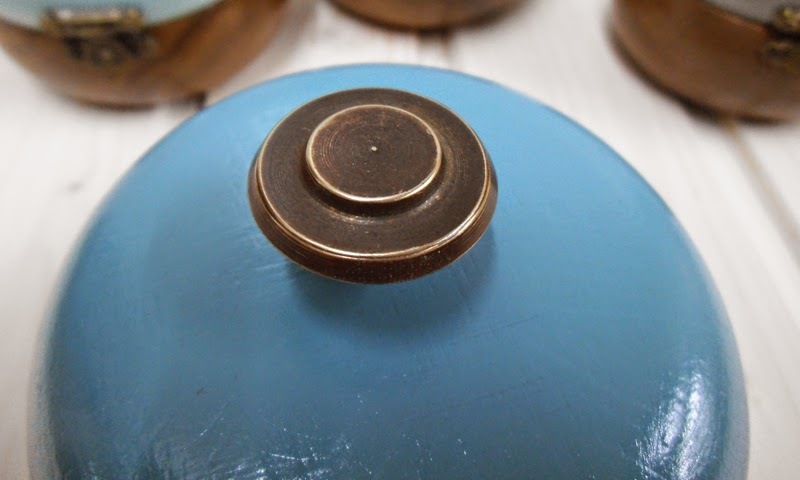 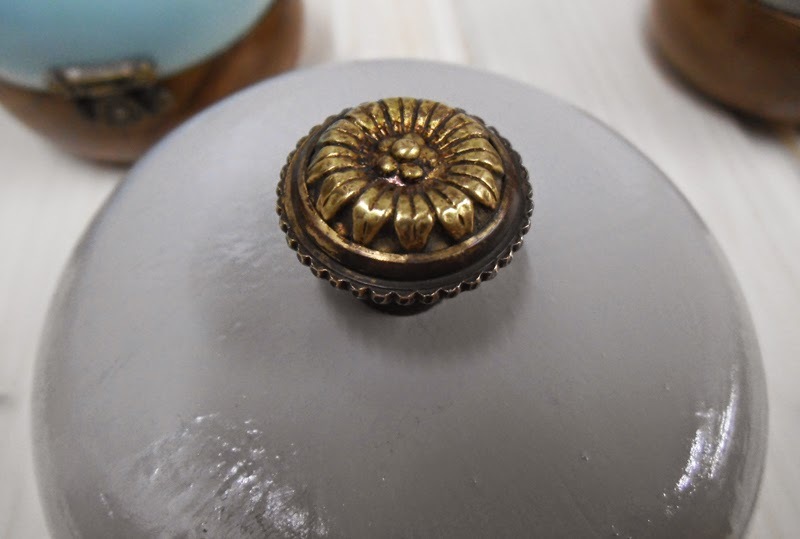 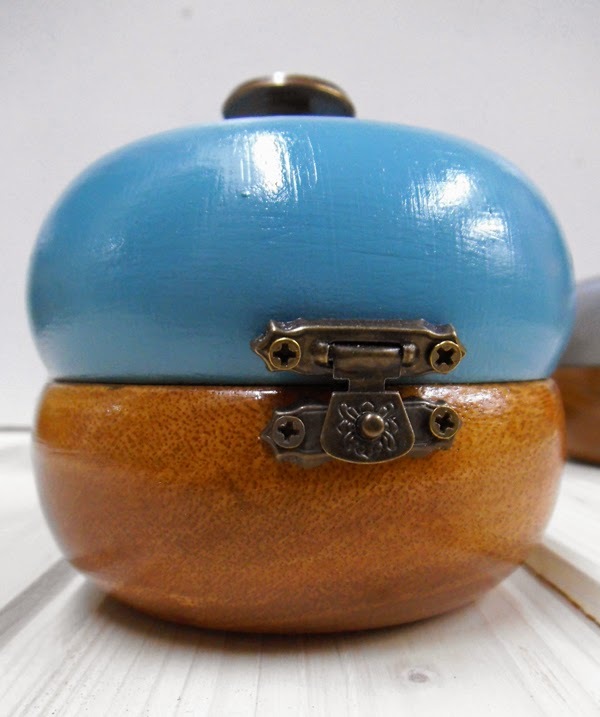 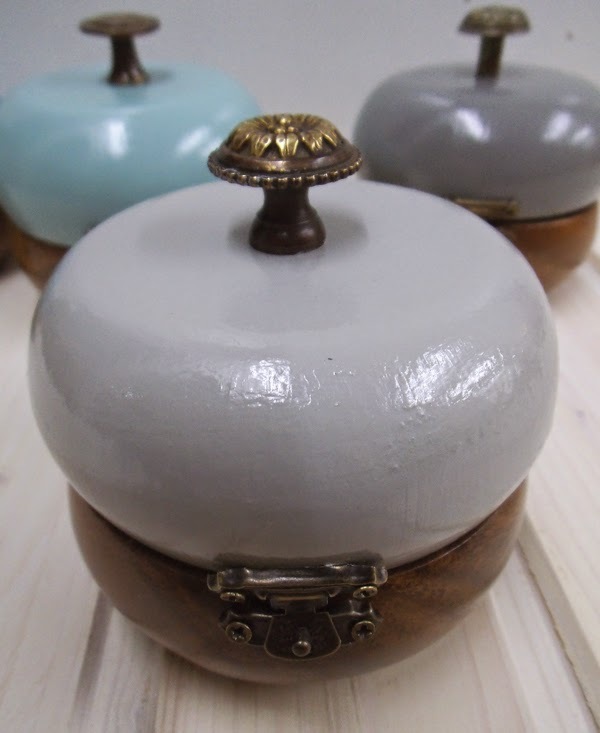 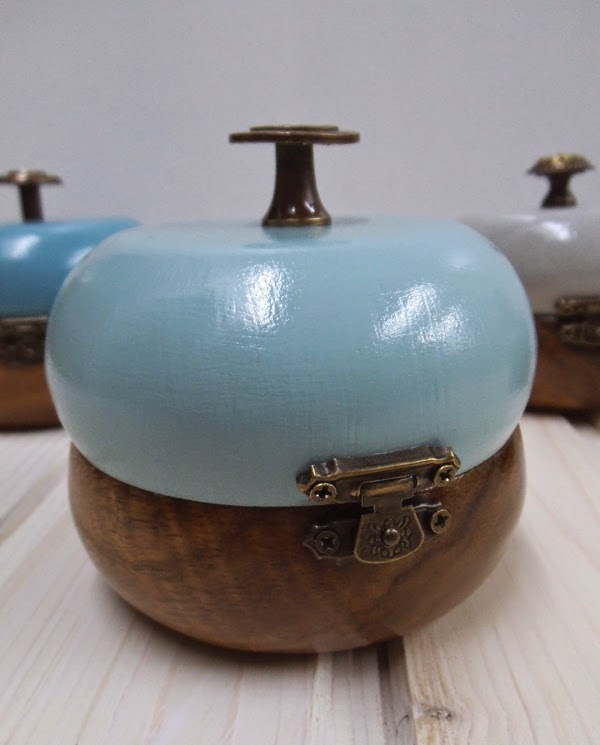 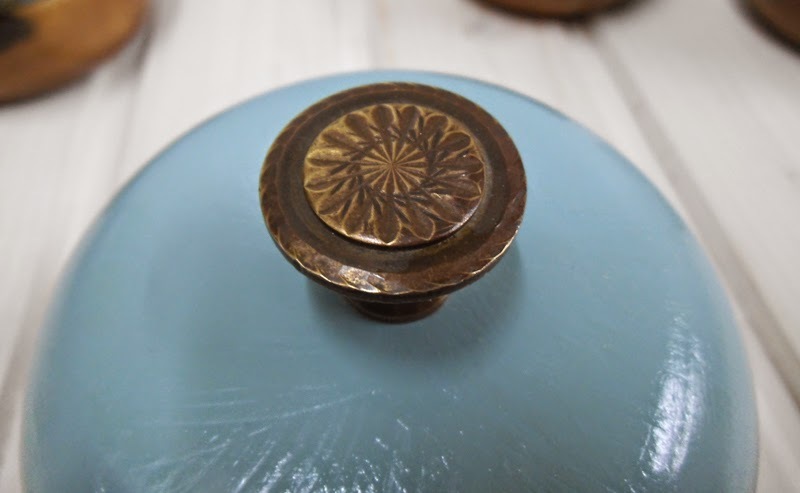 If you have been following this blog, you're certainly acquainted with these little boxes made out of solid maple wood bowls, brass clasps and hinges, plus vintage drawer pulls. 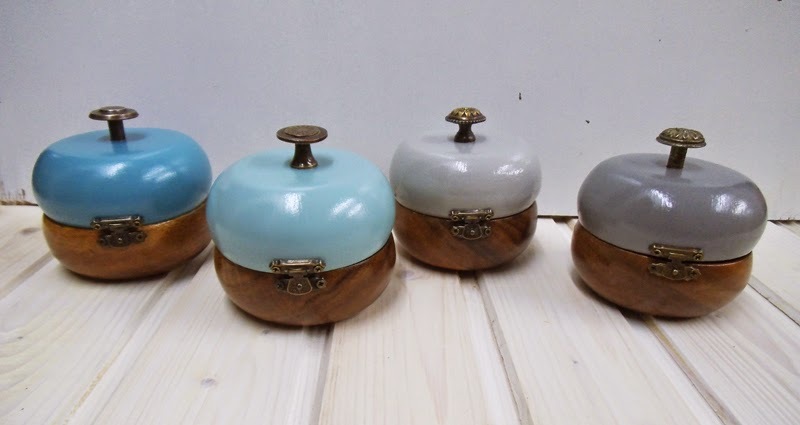 Following the public's demand, I have just finished a few more. 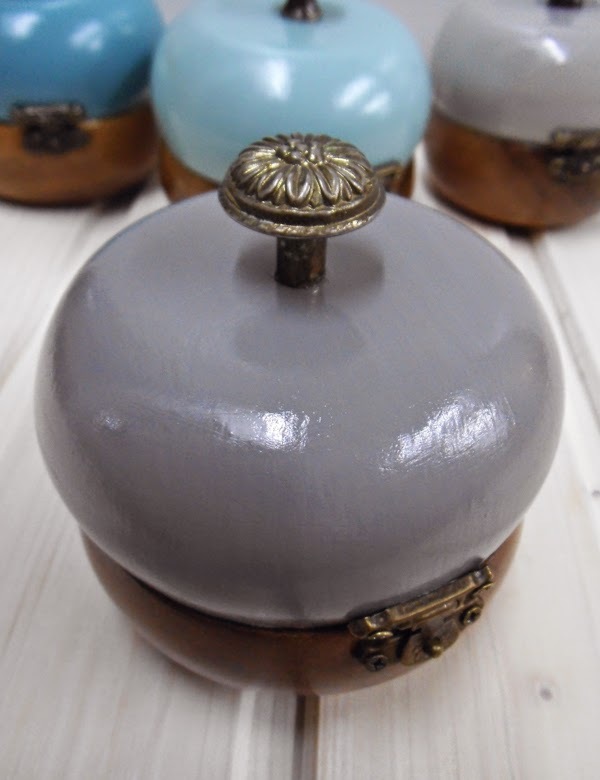 This year they display trendy colours in different shades of turquoise and gray. 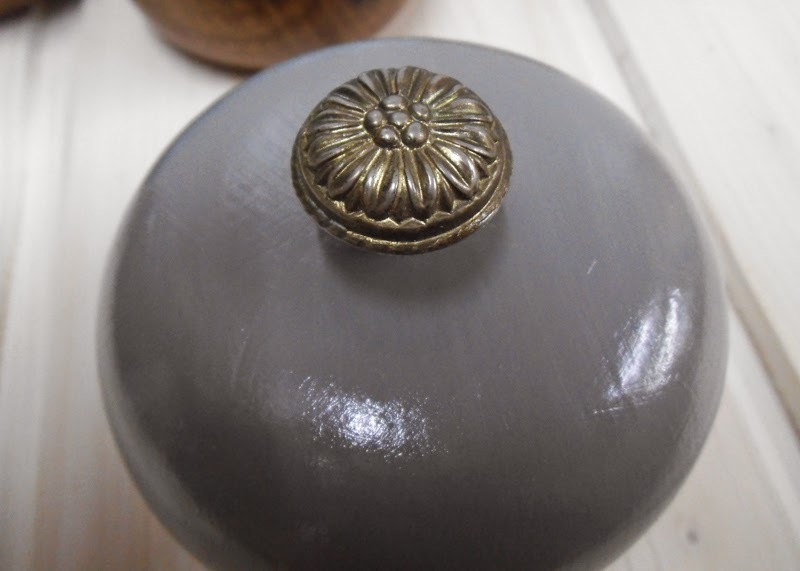 Average measures: 10cm diameter, 10 cm high.